Being a princess is a pretty amazing job, that is, unless you’re a princess of the Underworld. Alleyah “Lee” Jenkins is the daughter of Hades and a human woman, Joanna. Her birth left her an orphan in the human realm. When she hit adolescence, she came into her succubus powers and learned the truth of her birthright. She was destined to marry a demon prince and together they would rule the thirteenth level of the underworld. She had different plans. For the next twelve years she hunted and dispatched demons to the underworld, honoring the memory of her human mother and clearly stating her opposition to taking her throne in the underworld. When she meets a bounty hunter named Connor MacGregor, her world is turned upside down. He is tasked with the duty of bringing her to justice for a crime she didn’t commit. His family honor, and the lives of his siblings, depend on him accomplishing his goal. He didn’t, however, expect to discover she was his mate! Kensi McKenna is looking for a way to escape the dangerous and deadly future she is fated to live so she turns to exotic dancing as a way to obtain the financial support needed to break away from the small Oregon town. The night of her first dance, Tremaine MacGregor storms into the club and kidnaps her. Her first instinct is to escape, her second is to help the man and betray her family. No matter what she chooses her life will never be the same again. Trey MacGregor is after an easy bounty. It seems like a piece-of-cake job so he goes it alone and leaves his family out of it. The moment he walks into the club where Mariah McKenna is supposed to work his life is turned upside down and becomes far more complicated. What he doesn’t know is the girl he steals away, his treasured mate, is his target’s sister. Theirs is a match gifted from the gods, but can they get past the obvious family problems? 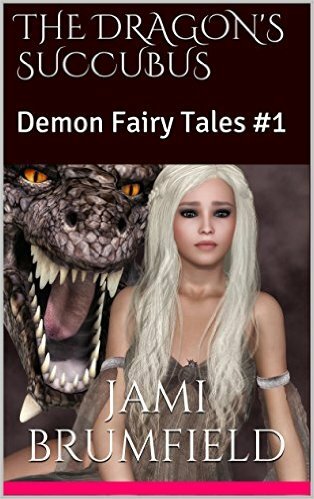 The Demon Fairy Tales series consists of stand alone romances between demons, shifters, and other supernatural creatures. Check out the first two books in this series today.